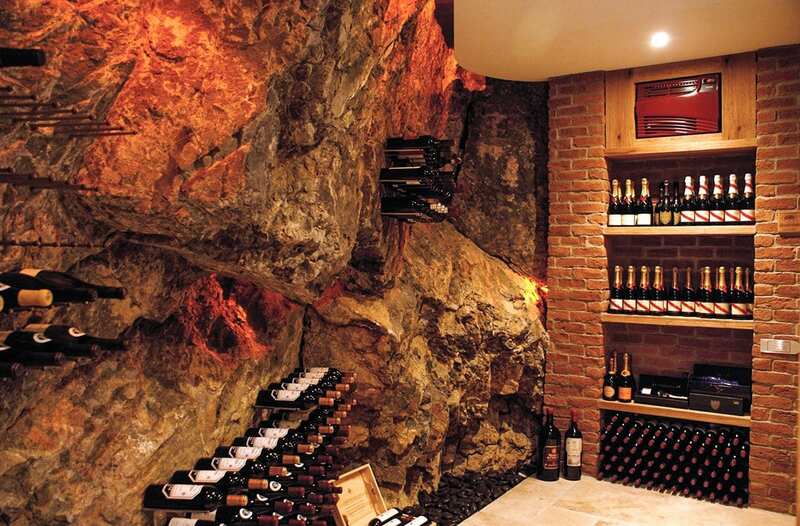 One of the most beautiful wine cellars in the world hangs on a cliff facing beautiful views of the Bosphorus seaway in Istanbul. 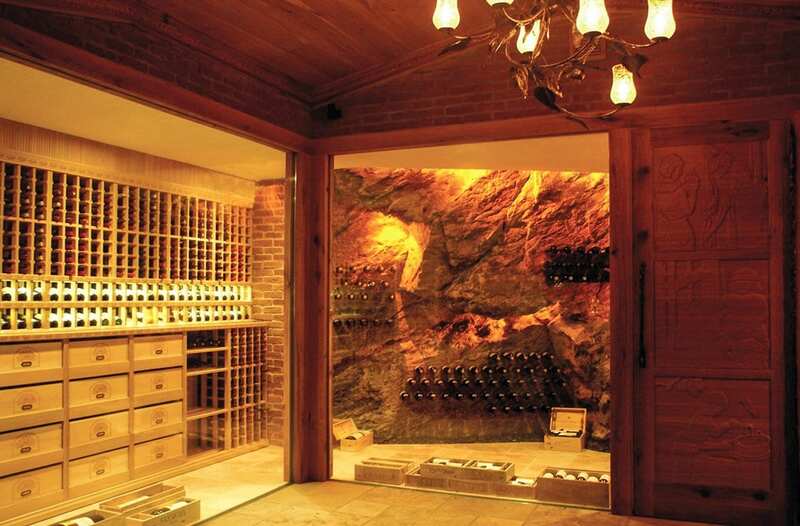 With the brilliant intervention of FWC, solid rocks are transformed into an extraordinary wine cellar which becomes the backdrop of an accordingly decorated private dining room. 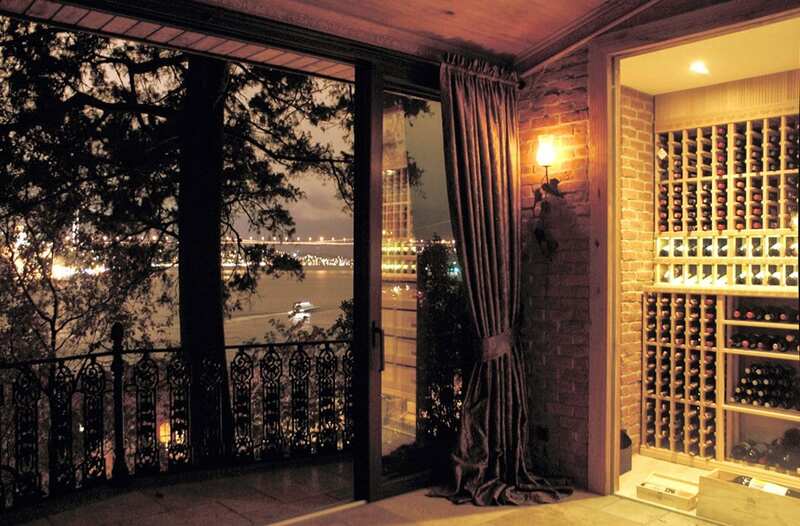 The building is built as an annex to a large Bosphorus mansion. Every element of the interior is integrally purchased, designed and produced to host a genuine dining experience. 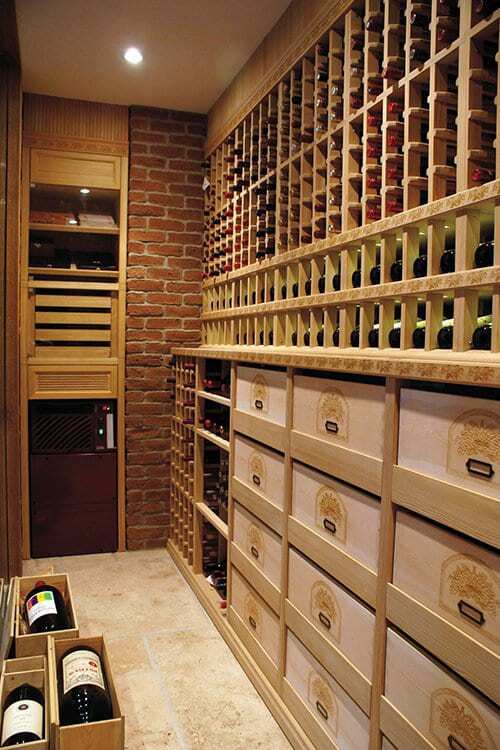 The wine cellar counter top is made of hand-made hexagonal larch blocks in perfect harmony with the sideboard and the dining table. 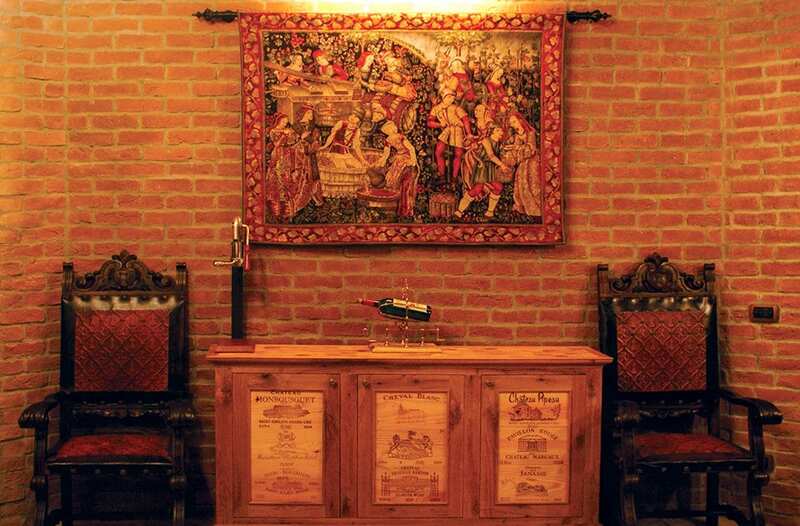 The sideboard is accompanied by two antique chairs and a tapestry depicting medieval wine production in its various stages. All luminaries are specially designed and wrought by hand for this interior.